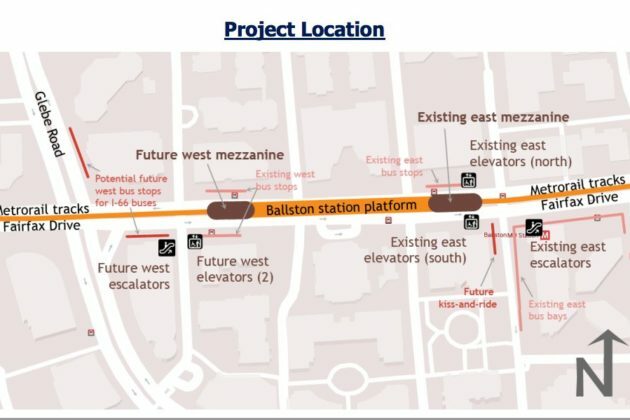 Some local developers are now set to hand over more than $6.8 million to help the county afford a second entrance to the Ballston Metro station, a project officials have hoped to finish for years in order to open up access to the subway stop for people living and working along N. Glebe Road. The newfound cash stems from the long-stalled redevelopment of an office building at 4420 Fairfax Drive, which sits above the county’s planned spot for the new Metro entrance. 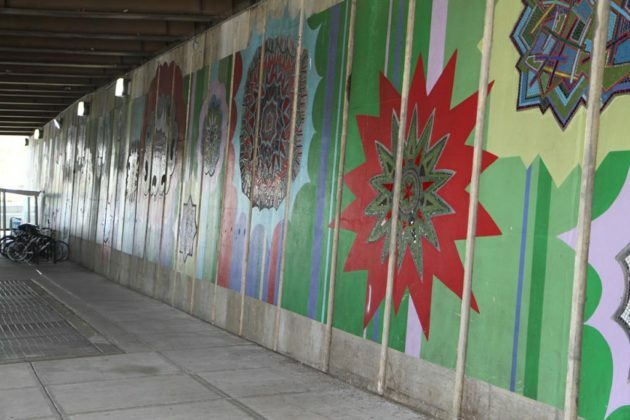 The project’s backers are now offering up the money to help fund the entrance’s construction, in exchange for the County Board agreeing to extend deadlines for the redevelopment through end of 2022. Originally, development firm JBG Smith was backing the project, known as “the Spire at Fairmont,” and it planned to build a new Metro entrance station at the same time as it constructed a new mixed-use building on the site. But that effort languished for close to a decade, and JBG sold the property to its current owners — Washington Capitol Partners, Kettler Development and Bognet Construction — in 2015. That group has made little progress, however, and the “site plan” the county approved governing the redevelopment effort is rapidly nearing its July 2020 expiration date. Accordingly, the developers are looking for an extension, and negotiations with the county heated up earlier this year. As part of that back-and-forth, Arlington officials told the developers that they weren’t interested in waiting for the new, 23-story structure to be built before moving ahead with the Metro entrance project. Instead, they asked for a simple cash contribution, and the companies eventually agreed, according to a staff report prepared for the County Board. 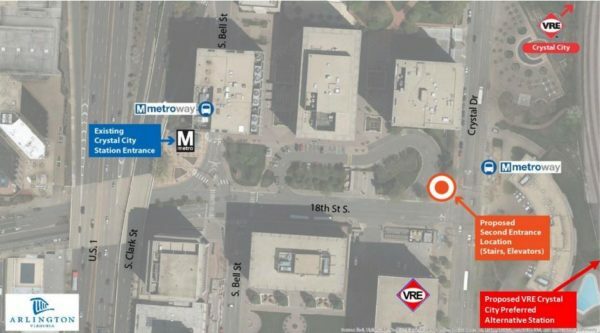 “The county has decided that it may be prudent to proceed on its own with the complete design and construction of the Ballston West Entrance… which would be more efficient considering differing time frames for completion of the developer’s project and transit improvement,” staff wrote. Some of that urgency stems from the fact that Arlington previously won about $26 million in state funding for the project, but has yet to spend much of it. Officials don’t see any imminent threat that the funding could be “clawed back,” but are nonetheless anxious to show some progress on the project. In general, it’s been tough sledding for the county to find any cash to power the construction in recent months. Arlington was counting on regional transportation dollars to kickstart the project, asking for $72 million from the Northern Virginia Transportation Authority to wrap it up. But the group declined t0 hand out any cash for it — after losing out on tens of millions as part of the vagaries of the deal to provide dedicated funding to Metro — and Arlington was forced to push back its plans for the entrance by several years. Any timeline for the project is still murky, however. 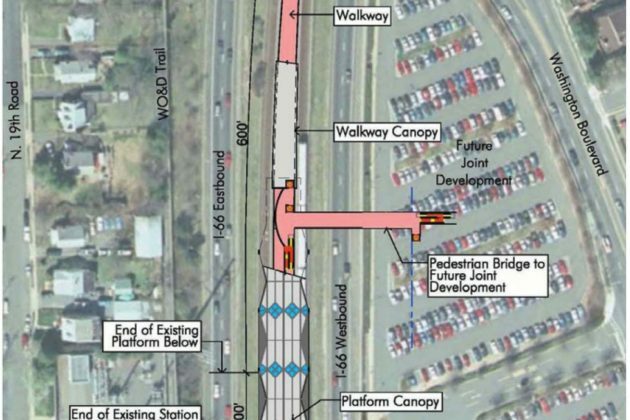 The staff report notes that JBG paid an engineering firm to prepare some designs for the new entrance, but those plans were never “accepted by WMATA or the county.” The new developers have taken control of those plans, and if the county finds they’re up to snuff, Arlington officials could agree to reduce the cash payment they need to pony up. The developers are also set to send the county just under $410,000 to secure some other zoning changes to allow construction to move ahead. Current plans call for 237 apartments and 9,200 square feet of retail space to be built on the site, in addition to a garage with 237 parking spaces. The County Board is scheduled to sign off on the details of this deal at its meeting Saturday (March 16). The matter is slated to be considered as part of the Board’s consent agenda, which is largely reserved for noncontroversial items approved without debate. A pair of state lawmakers are pushing to revive a proposal to raise some Northern Virginia tax rates to fund Metro, a key priority of Arlington and other localities around the region feeling a budget squeeze. A bill now backed by Del. Vivian Watts (D-39th District) and Del. Alfonso Lopez (D-49th District) would bump up taxes slightly on real estate transactions and hotel stays in the jurisdictions that benefit from Metro service. The legislation is broadly similar to Gov. Ralph Northam’s push to raise those rates last year, as lawmakers squabbled over the best way to find a dedicated funding stream for the troubled transit service. That effort failed, even as state lawmakers did agree on a bill to send $154 million to WMATA annually, as part of a first-of-its-kind, three-way deal with Maryland and D.C. to send dedicated money to Metro each year. Republicans, led by Del. Tim Hugo (R-40th District), insisted on pulling cash away from other sources instead of raising taxes to pay for the deal. Primarily, that change redirected funds from the Northern Virginia Transportation Authority, a regional body that hands out sales tax money to help localities fund major transportation projects. Arlington officials, in particular, were irked to see the group lose cash, as many were counting on the NVTA to help the county fund major transportation projects while Arlington’s own budget picture grew a bit grimmer. 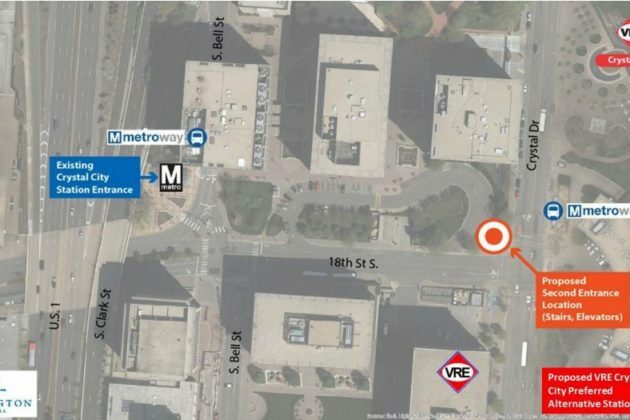 One of the main projects the county was hoping to fund with NVTA money — a second entrance at the Crystal City Metro station — is now set to receive millions in state funds, thanks largely to its inclusion in the deal to bring Amazon to the area. 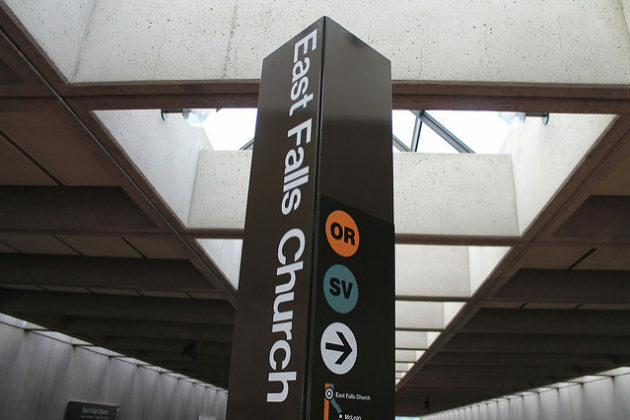 But Arlington officials have also had to push out plans to build new entrances at the Ballston and East Falls Church Metro stations, in part due to the NVTA’s money problems. The County Board included a request for just this change as part of its legislative wish list for the new General Assembly session, and local Democrats have broadly been receptive to renewing this fight in the months since Northam’s effort failed. The governor himself previously told ARLnow that he’d seek to bring back the tax increases to restore money for the NVTA — his spokeswoman did not immediately respond to a request for comment on this piece of legislation. Should it pass, the bill would send about $30 million back into the NVTA’s coffers each year, according to documents prepared for the Commonwealth Transportation Board. However, the NVTA has estimated its annual funding losses due to the Metro deal as closer to $100 million each year. A NVTA spokeswoman added that Watts’ bill is the only one introduced this session to restore the group’s funding via the tax increases. But with Republicans still holding narrow majorities in both the House of Delegates and the state Senate, the bill could well face an uphill battle. Notably, House Speaker Kirk Cox (R-66th District) assigned the legislation to the House’s Rules Committee, a group of powerful lawmakers. While other committees are balanced to reflect the partisan makeup of the House, the Rules Committee is dominated by Republicans on an 11-6 margin, leading many Democrats to accuse Cox of sending bills to the committee to expedite their failures. The group is also unique among House committees in that it can send bills directly to the floor for a vote, rather than casting a ballot on whether or not to advance the legislation. That allows Cox to force a vote from the full House on a bill, should he choose to do so. The committee has yet to schedule a hearing on the bill, however. A major funder of transportation projects across Northern Virginia isn’t giving up on Arlington’s long-stymied efforts to build second entrances for the Crystal City and Ballston Metro stations, though any substantial progress remains elusive. For years, the county has planned on paying for the new entrances by pairing its own money with some funding from the Northern Virginia Transportation Authority, a group that doles out sales tax revenues to transportation projects around the region. Transportation planners view second entrances at the stations as crucial to encouraging Metro ridership in each neighborhood, and coping with the rapid pace of development in both areas. However, Arlington’s plans have come under some serious pressure along two fronts in recent months. The county’s declining revenues and rising expenses have forced officials to pare back funding for some long-range construction projects, and that’s included the second entrances at Ballston, Crystal City and East Falls Church. Meanwhile, the NVTA took a major funding hit when the landmark deal struck by state lawmakers to provide dedicated funding for Metro diverted tens of millions away from the group each year, a move condemned by Democrats but insisted upon by Republicans as a way to fund Metro without raising taxes. That’s prevented the NVTA from funding all the projects it might like, including the second entrances. Even still, Monica Backmon, NVTA’s executive director, says that the county remains well positioned to earn the cash it needs to complete the projects from her organization — though, perhaps, not as quickly as its leaders might like. The second entrance in Crystal City seems particularly likely to earn a bit more cash from the NVTA in the near term, Backmon said. Her group could only hand out about $5 million for the effort in its most recent round of awarding funding for projects, which she expects will fund about “half of the design costs” for the effort. The county is still settling on the specifics around the second entrance, though it will likely sit at the intersection of Crystal Drive and 18th Street S. Given the substantial new development JBG Smith is already plotting for that location, when combined with the close proximity of the Virginia Railway Express station, Backmon said the NVTA remains quite bullish on the project going forward. Backmon even expects that the NVTA could send the county the other half of that design funding as soon as next year. She plans to wait a bit to see what state officials might do — the county has applied for $78 million of the project’s $91 million price tag as part of the state’s “SmartScale” funding program, and the Commonwealth Transportation Board is set to make a decision on that cash by next June. Then, in July, the NVTA will start its own funding process, allowing Backmon to see whether or not her group needs to step in to give Arlington a boost. By then, officials will also likely know whether they also need to prepare for Amazon’s arrival in Crystal City or not, another key variable in the discussion. The process for finding funding for the Ballston second entrance is a bit murkier. The NVTA has already sent the county $12 million to fund a western entrance to the station, though that’s far short of the $72 million Arlington officials hoped to receive for the effort. Backmon’s group declined to devote any additional cash to the Ballston project this summer, and she notes that the NVTA saw needs elsewhere that were “a little more pressing.” But county officials have been anxious to show some progress on the effort, not only to better prepare to cope with the slew of new developments on N. Glebe Road, but also to ensure that Arlington doesn’t lose out on the state funding it’s already received for the project. Backmon says she can’t be sure whether the Ballston project will be a strong candidate to earn more NVTA money next year, but she is confident that the existing cash isn’t going anywhere. Of course, it wouldn’t hurt the project’s chances either if state lawmakers acted early next year to restore the NVTA to its former funding levels. She pegs the group’s current annual loss from the Metro funding deal at close to $102 million, a bit up from earlier estimates, and is desperately hoping that the General Assembly follows through on Gov. Ralph Northam’s proposal to bump up a few Northern Virginia tax rates to make the math work for the NVTA. Northam and his fellow Democrats have already pledged to reexamine the issue next year, though, as Backmon acknowledges, any such effort “in an election year” for the General Assembly will be a tricky one. 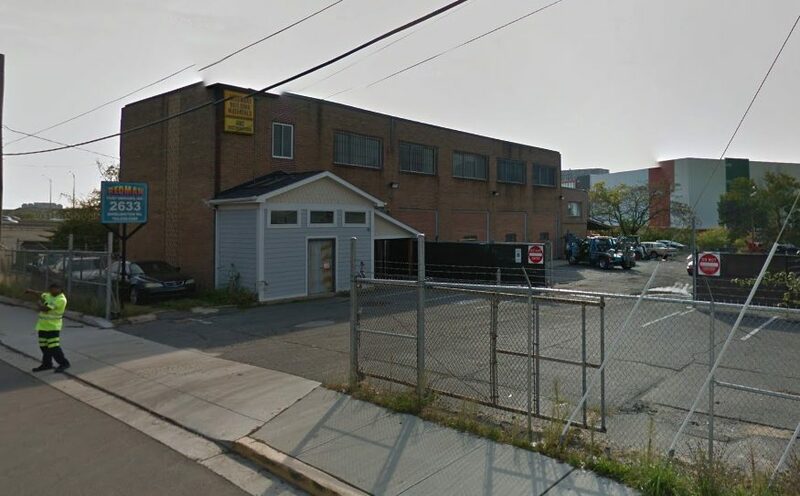 Arlington is shelling out $23.9 million to buy land that will someday become home to a new bus “operations center” in Nauck, marking an end to years-long negotiations over the property’s future. The County Board voted Saturday (July 14) to purchase the site, located at 2629 and 2633 Shirlington Road. Arlington Transit plans to eventually store about 90 buses on the property, and eventually develop the space “as a base for ART operations,” according to a county staff report. The county already leases about 2.5 acres of the roughly 3.5-acre property to use as bus storage, but it was paying $60,000 a year for the privilege. The remaining section of the land was once used as storage by the towing company Redman Fleet Services. County leaders have eyed the property as an ideal site for additional bus storage for several years now, and considered acquiring it as part of a swap involving another in-demand piece of land: the Buck property near Washington-Lee High School. The Arcland Property Company proposed trading its Shirlington Road property for a portion of the Buck site, which the county bought for $30 million several years ago, in order to build a self-storage facility on the property. But that proposal attracted pushback from the community, particularly as the county eyed the Buck site as one that could become home to a school someday. Arlington’s budget pressures means officials still haven’t been able to plot out a long-term plan for the property, though the county did recently agree to allow some school system employees to use it for parking. The county plans to wrap a study of the property’s suitability for some sort of school building this winter. Yet the Board was able to afford the Shirlington Road site without giving up any of the Buck property thanks to a mix of state and regional funding. Some state grants will pay for nearly $7 million of the $23.9 million price tag, with some recently awarded money from the Northern Virginia Transportation Authority adding another $2.7 million or so. The NVTA doled out $39 million to help pay for the operations center’s construction as well, in addition to a new “heavy maintenance facility” in Springfield. ART recently opened a new “light maintenance” facility in Crystal City. (Updated at 10 a.m.) Arlington is getting ready to seek nearly $78 million in state transportation funding to build a second entrance at the Crystal City Metro station. The County Board is considering submitting the project for “Smart Scale” funding, money handed out by the Commonwealth Transportation Board for big-ticket projects around the state. If approved, Arlington would have the money it needs to add an eastern entrance to the station at the northwest corner of the intersection of Crystal Drive and 18th Street S., perhaps by sometime in 2024. The county has spent years studying the prospect of a second entrance to ease access to the Crystal City station, particularly as planners project substantial increases in housing development in the area over the next few decades, with or without Amazon’s potential arrival. The project would also include two street-level elevators and a new underground passageway and mezzanine to reach the Metro platform. Yet the county has hit some roadblocks when it comes to finding funding for the $91 million project. 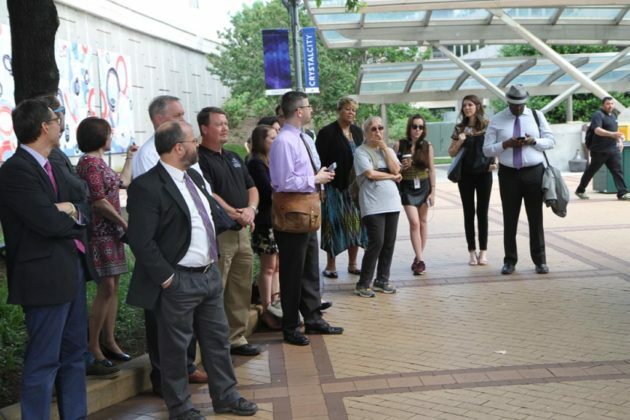 Arlington’s recent budget woes, brought on by declining commercial tax revenues and new funding obligations for Metro service, means that the county will need to rely on outside funding for the second entrance. The county expected to get most of that money from the Northern Virginia Transportation Authority, a regional body that funds major transportation improvements. But the NVTA recently told the county that it can only chip in about $5 million towards design work for the project, as the group adjusts its own funding plans after losing out on tens of millions in annual revenue as a result of a deal to provide dedicated funding to Metro. That forced Arlington officials to turn to the statewide “Smart Scale” program to for funding, an outcome local lawmakers predicted as a result of the NVTA losing out on money as part of the Metro deal. The county is similarly concerned about how it might pay for second entrances at the Ballston and East Falls Church stations in the coming years due to these same factors, but officials only chose to submit the Crystal City project for “Smart Scale” money. State transportation officials will evaluate the Crystal City entrance against other projects across the state, and award funding based on factors like how much congestion they will relieve and how much economic development they’ll spur. Should Arlington win the full $78 million it’s asking for, county officials plan to use the NVTA money and some local tax revenue to fund the remainder of the project’s cost, according to a staff report. The county also plans to submit three more projects, with a total cost of roughly $10.1 million, for “Smart Scale” funding. Those include the expansion of Transitway service in the Crystal City area, the installation of new equipment and software to create a demand-based pricing system for county parking meters and the procurement of software to better manage Arlington Transit (ART) bus service. This project will install equipment and software to support demand-based pricing of on-street meters and improved public information about parking availability. On-street parking is limited by the finite length of curb on County streets and competing curb uses while offstreet parking is very expensive to build. 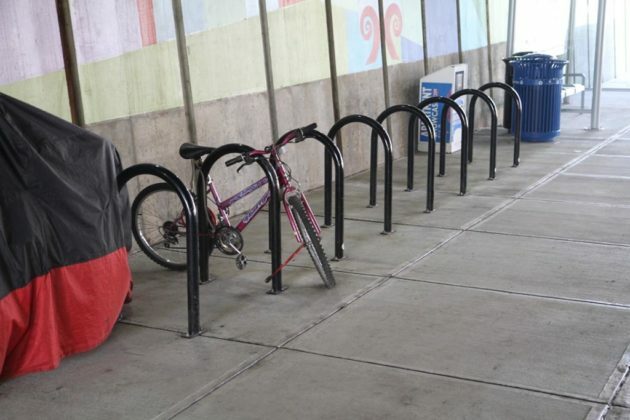 Given these limitations, it is critical that the parking supply is managed effectively. Modern parking technology enables a much more efficient management of the system. 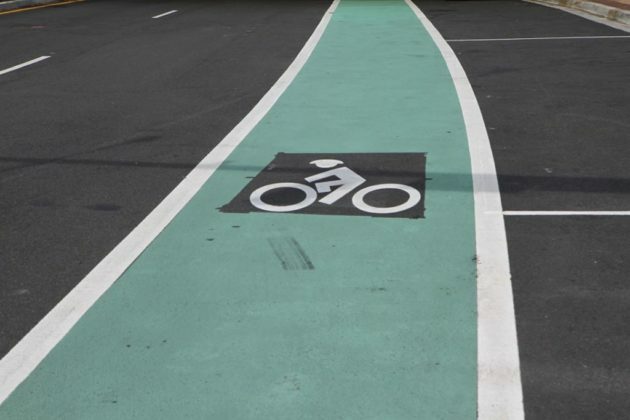 County policy, as stated in the Master Transportation Plan’s Parking and Curb Space Management Element, supports the use of multi-space meters and other high performing technologies. The project will support the installation of hardware and software to monitor and display occupancy, turnover, and parked duration information from the curbside metered spaces and County owned and operated off-street facilities in order to support demand-based pricing of on-street meters and improved public information about parking availability. The County Board will formally vote to endorse these “Smart Scale” applications at its meeting this Saturday (July 14). Arlington officials worry that their plans to build a second entrance to Ballston Metro station could stall and be delayed indefinitely if the county and WMATA can’t make progress soon. To get a move on and finally construct a western entrance for the highly trafficked station, county leaders say they need millions more in funding, and they’ve had trouble tracking down that money. Arlington asked for $72 million from the Northern Virginia Transportation Authority to help pay for design work and construction, but the regional group passed over the project entirely in its new six-year funding plan. Without that cash, County Board Chair Katie Cristol worries that the roughly $25 million Arlington’s already received in state transportation funding for the project could go up in smoke, throwing its future in jeopardy. 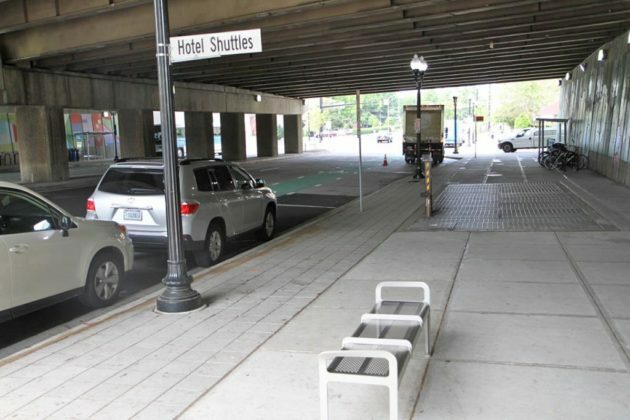 Cristol, Arlington’s representative to the NVTA, says the group ultimately chose not to award more money for the Ballston project because its leaders just didn’t see enough forward momentum on design work for the effort. “We’re a little stuck, and we do need to show progress,” Cristol said. It doesn’t help matters, as Cristol pointed out, that the group will lose roughly $80 million a year as a consequence of the deal to provide dedicated annual funding to the Metro system, and has had to scale back how many projects it will fund around the region. 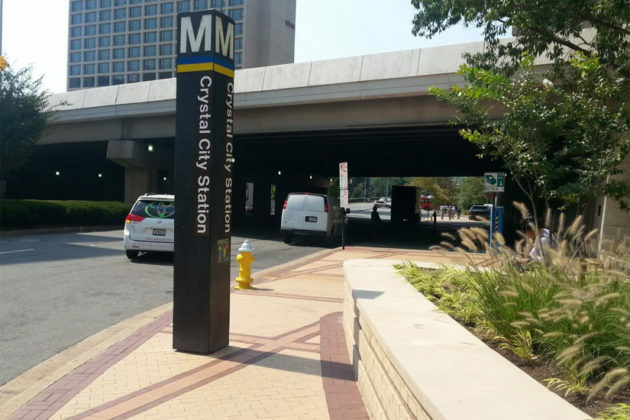 Even still, the NVTA was able to send the county $5 million to pay for additional design work on a second entrance for the Crystal City Metro station, falling far short of the county’s $87 million request but still helping push the project forward. What set the Ballston project apart from Crystal City, Cristol notes, is the work the county still needs to do with Metro to draw up what the construction will actually entail. Broadly, officials know they’d like to build another entrance near the intersection of N. Fairfax Drive and N. Vermont Street to improve access to the spate of new developments on N. Glebe Road. Beyond that, however, Cristol says the county and Metro need to work out the details. As WMATA grapples with the existential issue of how to bump up service levels and lure riders back to the system, Cristol worries Ballston could get lost in the shuffle. Gov. Ralph Northam (D) says he’ll renew his push for a set of Northern Virginia tax increases to fund Metro next year, a move that could help Arlington win back some critical transportation dollars. Republicans in the General Assembly narrowly defeated Northam’s efforts to add the tax hikes to legislation providing the first source of dedicated funding for the rail service earlier this year. The tax increases would’ve been relatively modest, bumping up levies on real estate transactions and some hotel stays, but they could’ve helped the state avoid pulling roughly $80 million in annual funding away from the Northern Virginia Transportation Authority. The group uses regional tax revenue to fund transportation improvements across Northern Virginia, and the NVTA has already had to scale back its plans to help Arlington pay for construction projects like second entrances at the Ballston and Crystal City Metro stations. That’s why Northam says he plans to propose the tax hikes once again when lawmakers reconvene in Richmond in January, setting up another tussle over the issue several months ahead of an election where all 140 state legislators will be on the ballot. There’s no guarantee that Northam’s second effort will be any more successful than his first, however. Republicans still hold a slim, 51-49 majority in the House of Delegates where GOP leaders, particularly Del. Tim Hugo (R-40th District), have pledged to beat back any tax increase to fund Metro. But Democrats are eager to take up the fight once again, especially with other contentious issues, like Medicaid expansion or the freeze on state utility rates, off the table. Neither Hugo nor a spokesman for House Speaker Kirk Cox responded to a request for comment on Northam’s Metro plans. But Hope believes Republican lawmakers, particularly those outside of Northern Virginia, will come around on the tax hikes as they begin to feel the impacts of the funding deal’s structure. Specifically, he points out that without seeing all the money they’d like from the NVTA, Northern Virginia localities like Arlington have already started applying for more funds from statewide entities. That will put Northern Virginia projects in competition with applications from cities and counties without the same level of traffic congestion as the D.C. region, meaning places like Arlington could end up winning out in plenty of cases. 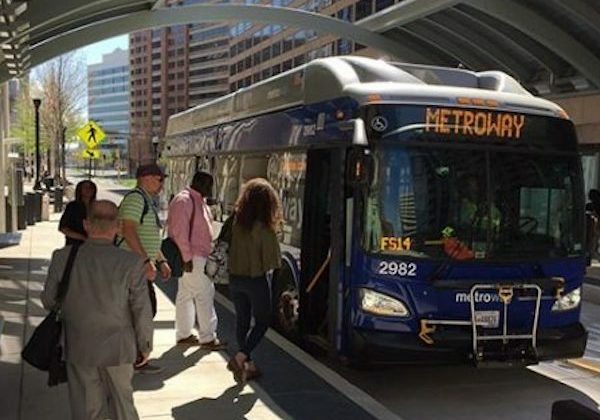 Arlington is now in line to receive nearly $83 million in funding to help the county afford four major transportation projects over the next six years, including the construction of two bus maintenance facilities and a major expansion of transit options in Pentagon City. The Northern Virginia Transportation Authority announced its new Six Year Program today (Friday), outlining the regional body’s plans to shell out a total of nearly $1.3 billion for transportation projects through 2024. The NVTA collects a select set of regional taxes, then identifies which construction efforts around the region are most likely to reduce in congestion before doling out money to help localities fund them. 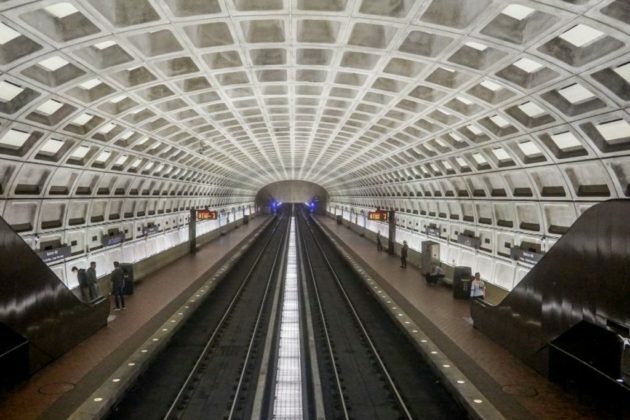 State lawmakers recently decided to pull tens of millions of dollars away from the group each year, in favor of sending the money to Metro as part of the new dedicated funding agreement for the rail service. That’s constricted the NVTA’s ability to hand out funding for transportation projects, much to the chagrin of officials across Northern Virginia, but the group still has the capacity to help pay for 44 different projects around the region. 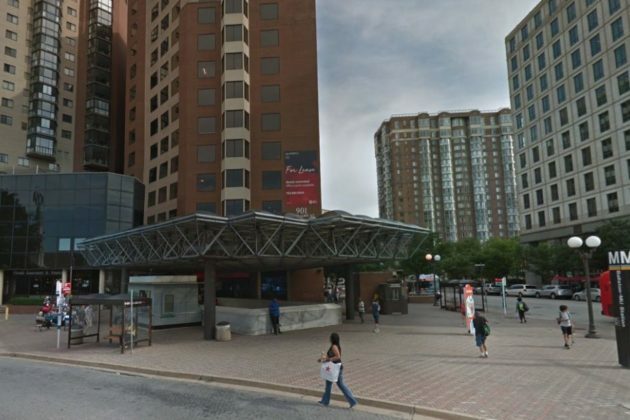 Notably, the NVTA declined to award additional funding to one of the county’s other top priorities: a second entrance to the Ballston Metro station. Arlington previously received $12 million from the group to start work on the effort, and was looking for another $72.3 million to make the project a reality, but NVTA leaders warned that such a project was unlikely to win out over other efforts more focused at relieving traffic congestion. 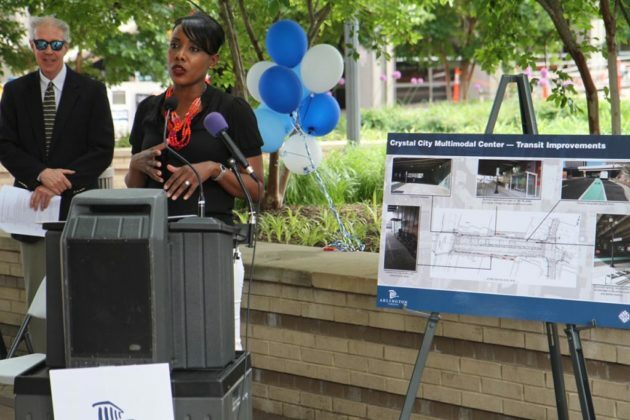 The $5 million for the second entrance at the Crystal City station is also substantially less than the $87 million the county requested to complete the project. County Manager Mark Schwartz has previously warned that Arlington’s funding challenges will make it difficult for the county to build both second entrances without the NVTA’s help, but the $5 million will help the county complete additional design, engineering and environmental work. 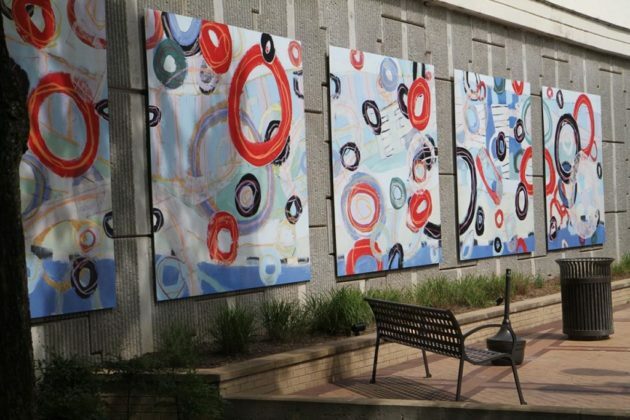 Those issues aside, the NVTA did manage to fund the bulk of the county’s request for the new ART facilities, the top priority for Arlington officials this year. 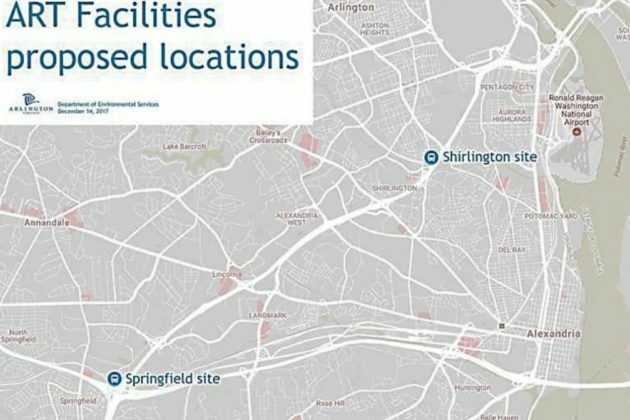 The county is planning to spend a total of $98.4 million on additional facilities for buses over the coming years — a new “heavy maintenance” facility in Springfield and an “operations center” along Shirlington Road. 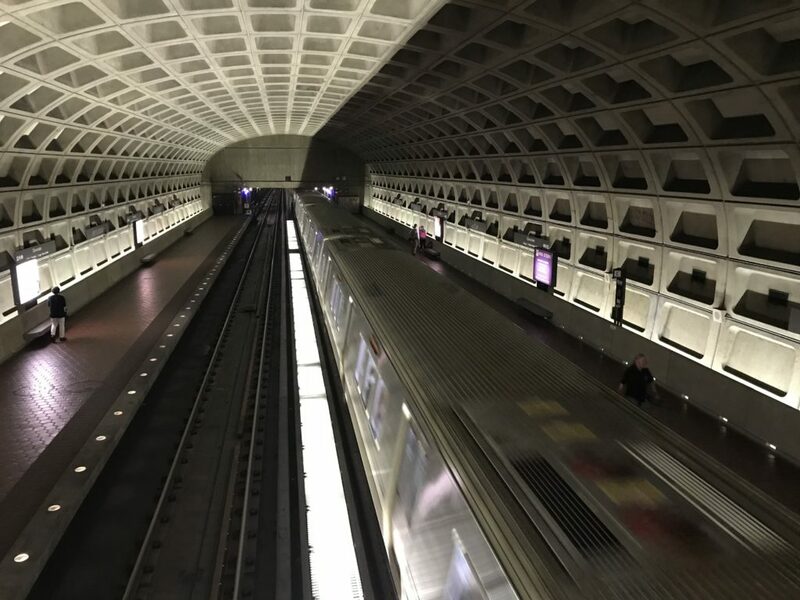 Funding to help WMATA keep running and catch up on maintenance may end up jeopardizing major projects slated for two busy Arlington Metro stations. A new deal brokered by state lawmakers will send about $154 million to Metro each year, providing funding for badly needed improvements to the system — but Arlington officials fear the structure of the agreement could imperil planned Metro entrance projects. 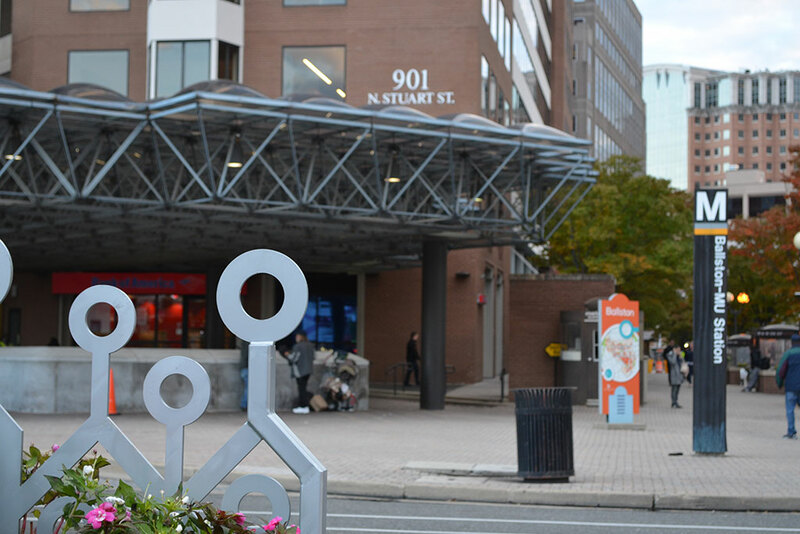 For years, the county has been hoping to add second entrances to the Ballston and Crystal City stations to make it easier for people in those neighborhoods to access the Metro. But Arlington planned to pay for those projects with the help of a regional group that doles out money for transportation improvements: the Northern Virginia Transportation Authority, commonly known as the NVTA. Yet the NVTA can only afford to fund that kind of construction effort with the tax revenue it brings in, and the dedicated funding deal hashed out in Richmond will divert a substantial chunk of that money to Metro for ongoing operations and maintenance. Gov. 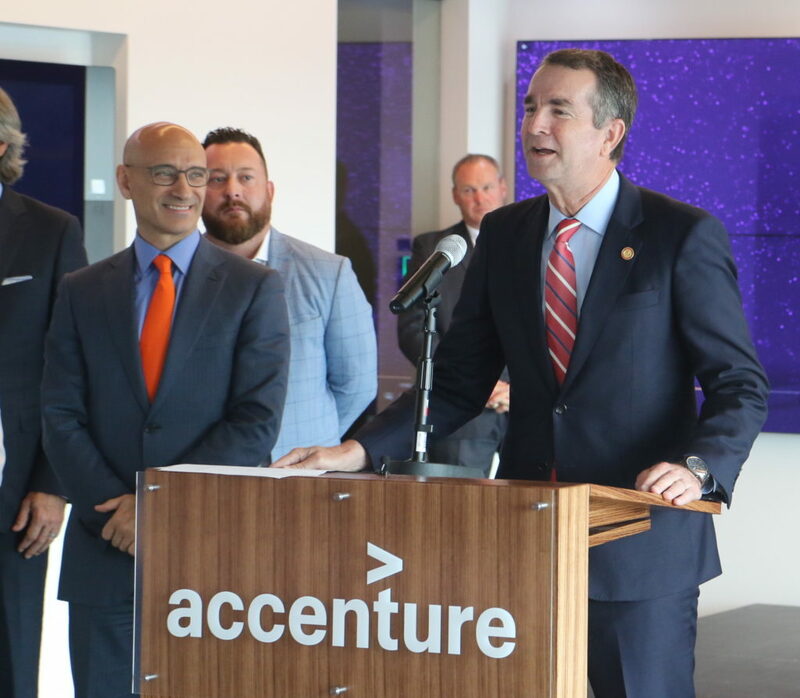 Ralph Northam and his fellow Democrats had hoped to avoid that outcome by bumping up a few Northern Virginia tax rates instead, but the slim Republican majority in the House of Delegates scuttled that plan in favor of sending the NVTA money to Metro. NVTA leaders aren’t yet sure just how much money the group will lose — they’re currently projecting a roughly $80 million drop in annual revenue for the next six years — but they are reluctantly admitting that the group will have to trim the list of projects it can fund in the coming years. 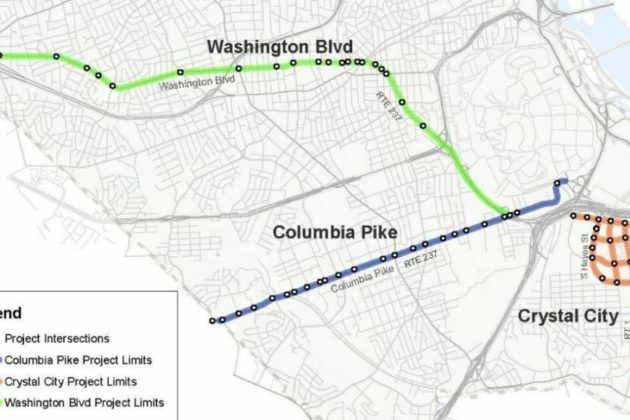 Arlington County Board Chair and NVTA board member Katie Cristol expects that will prompt indefinite delays of the projects at Ballston and Crystal City, or it could force the county to find new funding streams for them entirely, an unwelcome prospect given Arlington’s increasingly stretched finances. NVTA chairman Marty Nohe, a Republican who also serves as vice chair of Prince William’s Board of County Supervisors, says his group largely focuses on funding projects that relieve traffic congestion around the area. While he fully expects that adding second entrances at those Arlington stations would pull some cars off the road, he also notes that they likely won’t have the same impact as other road improvements elsewhere in Northern Virginia. 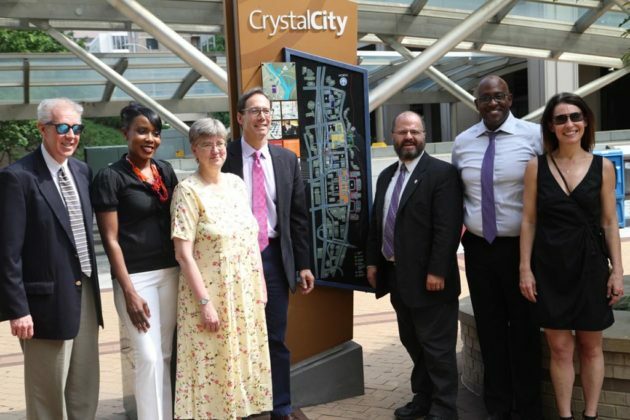 Representatives from the county and the Northern Virginia Transportation Authority came together this morning to celebrate the Crystal City Multimodal Center‘s completion. 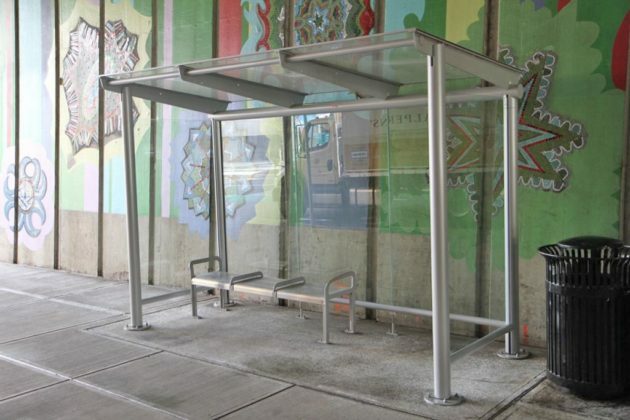 The center on 18th Street S. between S. Eads and S. Clark streets — next to the Crystal City Metro station — now has more bus shelters for use by local and regional buses, wider sidewalks, improved lighting, bike lanes and a kiss and ride zone where shuttle buses can also load and unload. Funding for the $3.4 million project came a $1.5 million grant from NVTA, a grant from the Virginia Department of Rail and Public Transportation, a developer contribution and money from the Crystal City tax increment financing area. 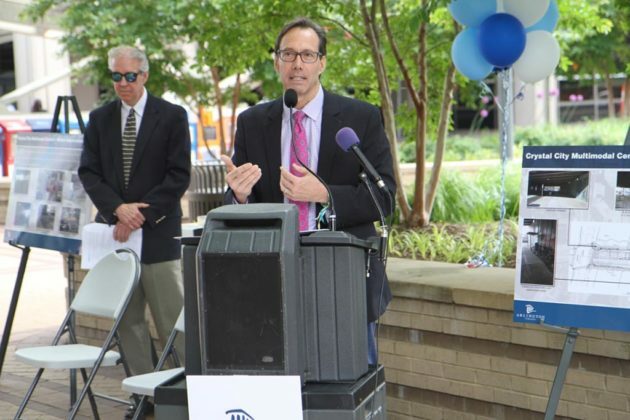 NVTA funds projects across four counties and five cities in Northern Virginia, and officials said improvements such as those in Crystal City help the entire region. NVTA board chair Martin Nohe gave the example that a stopped train in Arlington at 7 a.m. can cause parking problems in Woodbridge at 8 a.m., and the center will help ease congestion worries. “The people of truly every Northern Virginia jurisdiction are benefitting not just from this project, but every other project throughout Arlington,” Nohe said. Fisette said that such projects and an emphasis on transit helped Arlington be recently named the best city for millennials. Without planning and the community’s input combined with bodies willing to help with financing, projects like these could never come to fruition, he said.